Universal Studios in Hollywood had a machine/machines many years ago which offered the Frankenstein statue, King Kong and Jaws. 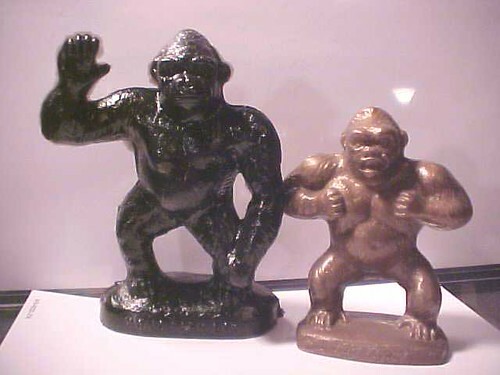 The Kong and Jaws were the same molds used for generic gorilla and shark statues offered at various zoos, but had King Kong and Jaws imprinted on their bases. 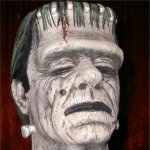 There is also a Frankenstein bust bank. I know this was offered as recent as a few years back at the Museum of Science and Industry in Chicago. Whether it is currently being offered, I don't know, they rotate molds in and out. Another very cool piece is the Mold-A-Rama bat! 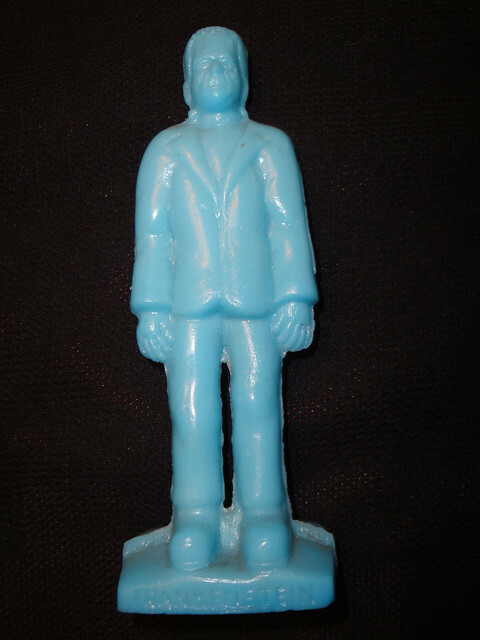 If you have any Mold-A-Rama statues, post them! WARNING: Do not store monster toys under your bed. 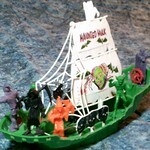 That Frankenstein mold is really cool. I saw one on ebay the other day for $10, but passed. I didn't know if the machine was still around or not. Thanks for posting this info, Hitchhiker, it's very interesting. Very cool. I didn't know anything about these. Guess I haven't spent enough time at zoos, museums or theme parks! 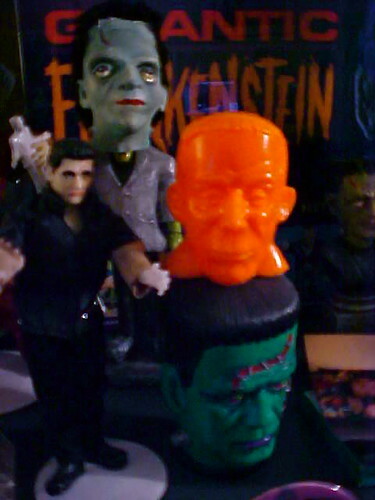 I do think I saw that Frankenstein bank one Ebay not long ago, but it was silver. i love these, but obviously only ever find the animal ones. kind of regret passing up a whole box of aquarium themed ones i found at a flea market last year. The company site says the first machine was at the 1964 World's Fair in NY, part of the Sinclair Oil exhibit. When I was a kid, I went to the 1968 World's Fair and there were several of them, making dinosaurs. I grew up playing with a red T-Rex and a blue Triceratops from that visit. 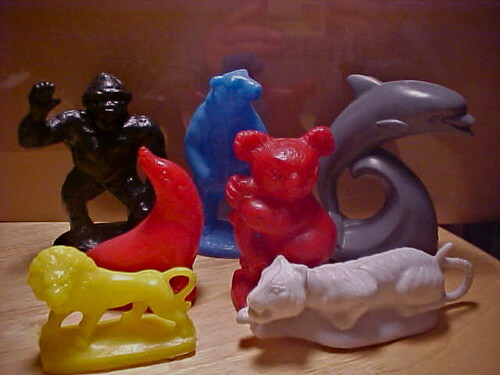 I got them from the St. Louis Zoo many times as a kid. They had one of the machines at the Primate House, and you could get a really cool ape that was Kong to me. 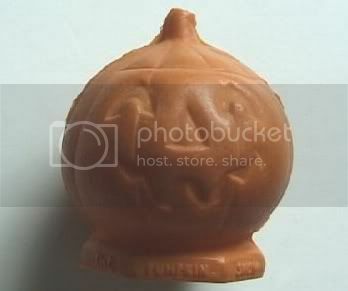 I'll never forget the smell of that waxy, melted plastic. It burned your hands when it came out of the machine because it was so hot, too. I love these things. Yes, i remember getting a Sinclair Dino from the machine at the Worlds Fair...wish i still had it. Like Andy said, they came out warm to the touch with a great cooked plastic smell!! Beautiful creatures! And Ahhhhhh....the smell packy- do you have an alligator because I have an extra from Alligator World in Fla., if you want it. 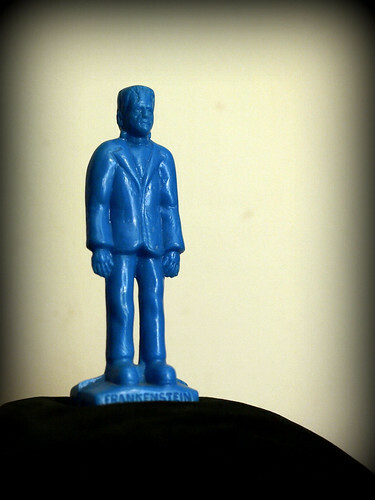 These Mold-A-Rama Frankenstein's have been going up in price for quite a while. I was going to try to get this one for a lot less than the $231.38 it sold for, so I would have it for trading stock. I already have a Blue Frank just like it. But I think mine cost me about $65.00! My dad used to work at Sears in the 60s & they had one in the bottom floor. I think the selections would change every couple of weeks. 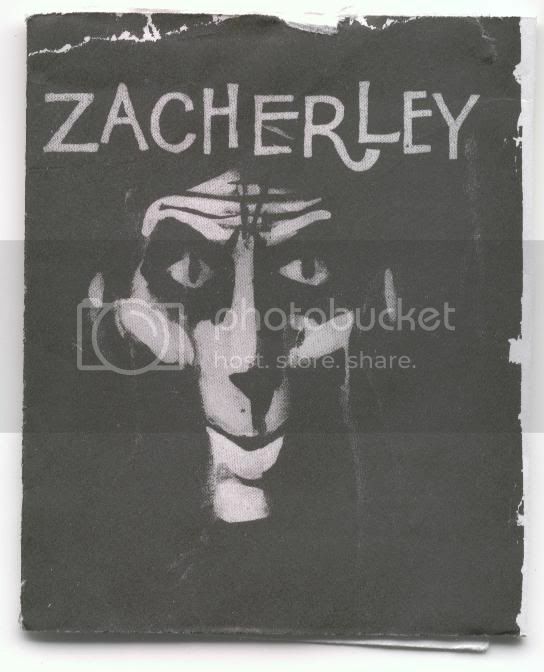 The only one I have today is from Grauman's Chinese Theater that I got 20 years ago. It's a replica of the theater front. I really never knew if it was toxic or not, but I always loved the smell of one being made. My folks took me to the travelling Sinclair dino show in Florida in 1966, which was originally shown at the World's Fair. I bought all of the dinosaur stuff I could get my little monsterkid hands on which included a couple of those blow mold dinos. They didn't hold up too well in my toy boxes but I replaced them a few years ago along with the ones I didn't get from before. 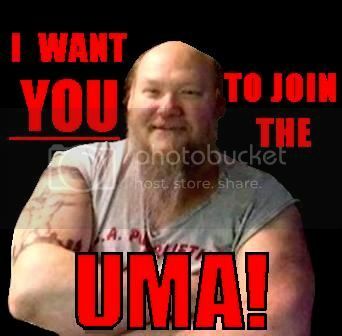 Here's a pic I scooped off the net in lieu of dragging out the camera. I have these six plus both Brontosaurus poses. Mine are unbroken, unlike the Trike in the pic. I'm kind of a dino nut, but I think most monsterkids are. BTW, I know Brontosaurus has been properly changed to Apatosaurus but they were Brontos when the toys came out so the toys are still properly called Brontosaurus. Marx and MPC Bronto tails don't lie, dude. It's printed right on 'em. I remembered this older pic of my Sinclair shelf which has my blow mold dinos in it. They will always be brontosaurus to me. 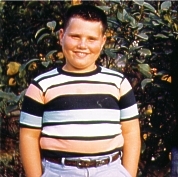 I remember having one of these when I was a young little tyke (late 60s?). I'm not sure where I got it. A gift maybe? Definitely don't remember getting it out of a machine. I have several present day ones. A friend collects them and sends along dupes to my wife and I. The other two in the Halloween set are a weird big nosed wolf man and a snow type creature? Heads only of course. Have to look in the morning.